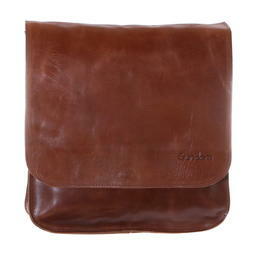 Fair and sustainable leather backpacks from Gundara. By definition, backpack is a bag made of various materials that can be closed and carried on the back with a carrying strap. In Southern Germany, the term has been used since the middle of the 16th century. In standard German language, the term was adopted about 150 years ago. Backpacks are very popular in everyday life. The big advantage of using backpacks is that they don‘t distribute the weight on one side, like the shoulder bags and messenger bags do. Backpacks distribute the weight evenly on both shoulders so it easier to carry them. They offer much more storage space as well. They are very useful for daily use and the most practical for schoolchildren, hikers and travellers as well. 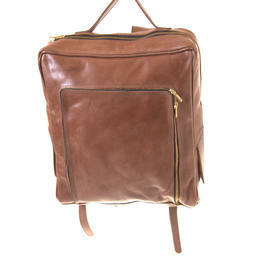 A backpack made of natural leather is suitable as an office or business bag and matches the business look. Today, even the regular backpacks usually have a large main compartment, smaller compartments, special compartments for laptop or tablet, small pockets for valuable items and pen holders. It is very helpful to have a backpack organised this way and all the items are easier to find when needed. The so-called City-bag or Daypack is a particularly small variant, developed in 1990‘s, which can also be used as a bag replacement. A well-known online encyclopedia describes the daypack as a simple but fashionable article in partly garish colors. Compared to regular bags, the difference of carrying a backpack is that your hands are free to use them for work, comfort or cycling. The special form of backpack with only one strap is called Gearslinger and it is so because the wearing method can remind of wearing a seat belt in a car. If you don‘t want to have a Gearslinger backpack in bright colours and decorations, we can recommend a City-bag made of high quality leather from our range. Backpacks, skins or satchels are different names for a backpack with a rectangular basic shape. The satchel was originally used by the military and later by scouts. It was also popularly referred to a backpack as a monkey, because of its fur covering. From the late 19th century onwards, the term satchel was also used for the school bag carried on the back and made of fabric and leather, especially in northern and northwestern Germany. 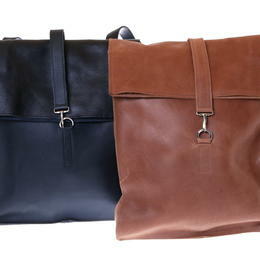 The schoolbags typical until the 1960‘s resemble the military satchels of the 19th century. The Felleisen was mainly used as a backpack by the travelling craftsmen. It contained all the essentials that the carrier needed but didn‘t fit in the bread bag. Very interesting fact is that the term is not derived from fur and iron, the materials used, but from the French word valise, which means a suitcase. Felleisen as well was the name for the leather letter box at the post office. The upper part was folded down several times and then closed with a belt or metal so the water wouldn‘t come inside the backpack. 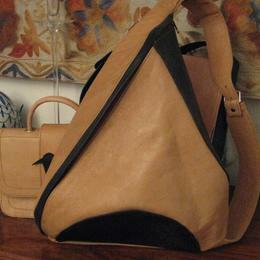 Gundara's fair backpack model Silk Road, made of naturally tanned leather, uses the same locking technique, which means that it is a descendant of the postal iron. 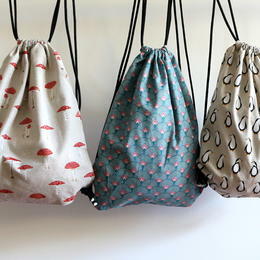 That bag was originally made for storing all kinds of equipment on the journey of the travelling craftman. Whether you call your backpack a knapsack, daypack or city bag, all of our fair and sustainable genuine leather backpack models are based on familiar backpack shapes. 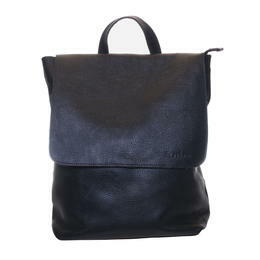 Our fair genuine leather backpacks are produced in two small companies in Afghanistan and Ethiopia, Fairchain. Gundara strives to make economic relations with its partners in developing and emerging countries truly fair. In fair trade, the raw materials are usually exported directly from developing countries to industrialised countries to be processed into the final product. As a result of that kind of exchanges, manufacturing industry is not developing in those emerging countries. The producing countries remain in the role of raw material suppliers. It maintains a system that has created inequalities through trade since colonisation. Fairchain, on the other hand, requires producers to manufacture their goods by themselves and supports them in that process. We try to work on the raw materials in the same country: Afghan natural leather is processed into beautiful leather bags in Afghanistan. This approach not only increases the income of our partner small businesses, but also creates new jobs and economic cycles as well as transparent, more stable prices and puts producers on an equal footing in negotiations. Gundara's leather backpacks are equally suitable for business, university and school (but beware: perhaps not for the very young children). These backpacks are not only practical, durable and long-lasting, spacious and adjustable, but also robust and available in many pleasant colour shades from Gundara. 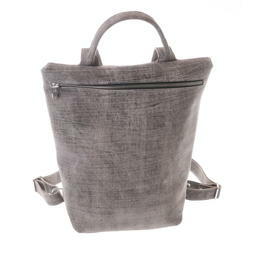 Our fair backpacks are simply trendy. And above all: they come from fair trade (Fairchain), all come from small factories in Afghanistan or Ethiopia and are made completely from genuine, mostly carefully tanned leather (goat or cowhide).